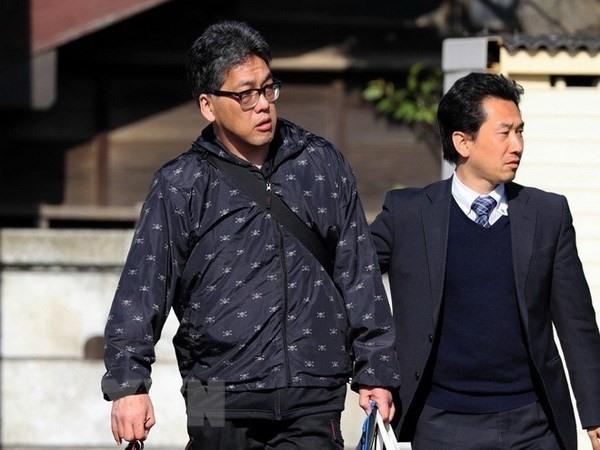 TOKYO — The Chiba District Court on Monday commenced the trial for a man accused of murdering a 9-year-old Vietnamese girl last year. Yasumasa Shibuya, 46, was arrested on April 14, 2017 on suspicion of dumping the body of Lê Thị Nhật Linh, a third-grader living in Matsudo town. The same day, Japanese police served a new arrest warrant on the man, charging the suspect with murder and abandonment of the victim’s body, after tests’ results showed that DNA taken from Shibuya matched those of samples found on the victim’s body. Linh disappeared shortly after leaving her home on foot for her school on March 24, 2017. Her body was found two days later in Abiko, Chiba. She is thought to have been choked to death, based on marks found on her neck.